In recognition of national 529 College Savings Day, the Municipal Securities Rulemaking Board (MSRB) this month published an Investor's Guide to 529 College Savings Plans for anyone considering investing in a plan. Potential 529 plan investors can learn more about how 529 plans work – including possible benefits, risks and expenses – so they can make an informed investment decision. For grandparents looking to contribute to their grandchildren's college tuition, the Investor's Guide includes special considerations for senior investors. 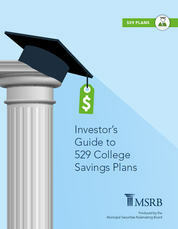 Read more about 529 college savings plans in the MSRB Education Center. Access disclosure documents for 529 plans submitted to the MSRB on its Electronic Municipal Market Access (EMMA®) website. Interests in 529 college savings plans are considered municipal securities under the federal securities laws, and are considered municipal fund securities under MSRB rules. MSRB rules apply to brokers, dealers and municipal securities dealers that act in the capacity of underwriters of 529 college savings plans, dealers that sell interests in 529 college savings plans, and municipal advisors to those plans. The MSRB continued its call for improved disclosure of bank loans by municipal securities issuers with the publication of an op-ed by MSRB Executive Director Lynnette Kelly in Governing, a media platform that covers politics, policy and management for state and local government leaders. Ms. Kelly warned that “[a] perilous new financial risk may be hiding in the fine print of loan agreements in state capitals, county seats and city halls across the country." Read the full op-ed. Visit the MSRB's webinar portal to access a library of on-demand webinars, many of which are available for continuing professional education credit. 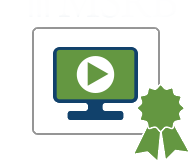 On-demand webinars include overviews of new MSRB rules for municipal advisors and educational seminars for state and local governments. Beginning in June 2016, EMMA users will have free, convenient access to an economic calendar with dates and descriptions of key macroeconomic developments that could have an impact on the trading and issuance of municipal securities. The calendar will highlight federal data releases, events and other indicators of the health of the overall economy, such as labor statistics and interest rate decisions. Municipal securities issuers, investors and their financial professionals may want to consult the economic calendar when assessing market activity. 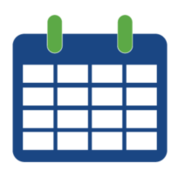 The MSRB is adding the calendar to the tools and resources currently available on EMMA to help investors and issuers make decisions that are right for them. EMMA's economic calendar will be provided by Econoday.